Your mission, should you choose to accept it: Design an app and port it for use across an ocean of devices.Seems easy, right? Ask any developer, and dollars to donuts, they will laugh and explain why it is not that easy. First, there are myriad programs associated with multiple mobile device operating systems — Adobe AIR, Aqua, Convertigo, GeneXus, and so forth. Even though those development programs can be used for a host of devices, they do not let developers create one app that can be ported magically to every device. There are several ways of getting around this problem, but they are neither simple nor absolute. The first method is to create a driver for each platform (Android, iOS, etc.) that provides access to the devices internals (GPS, accelerometer, and other sensors) using Python, Java, or other scripting languages. Another method is to create a tool (program) that can translate the original app to work on different platforms. This method is similar to what Codename One has managed to accomplish with its latest platform release. Codename One recently left the beta stage, where approximately 100,000 users created an astounding 1,000 apps for the mobile market. The company recently released version 1.1 and offers a robust client library for app development, a designer tool (complete with a Java5-based GUI interface, theme designer, editor, etc. ), a simulation environment (extremely handy for testing apps in development), and cloud-based services to help get users’ apps to the masses. Another handy feature makes use of standard IDE tools for debugging applications, which allows developers to weed out problems while in the build stage. Chen Fishbein and Shai Almog, who created the Lightweight User Interface Toolkit at Sun Microsystems, started Codename One, which is actually a sort of extension of the Widget toolkit. The company says that, since the release of its latest version of Codename One back in March 2013, the SDK has been downloaded more than 200,000 times to rave reviews. Codename One also recently released the Maker mobile app, which allows those with no developer skills to build their own applications using only their mobile devices. 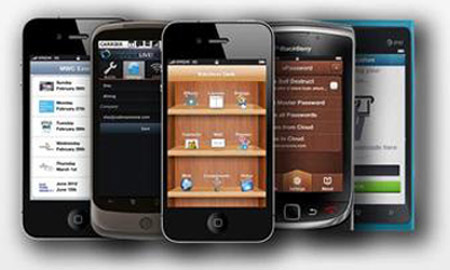 The app is generated in Codename One’s cloud-based build servers. The software can almost guarantee that the mobile device market will be flooded with apps for just about everything you can imagine, even if you’re not a developer.